The same old doorway pages can be successful if enough of them are made, and if they are suitably linked between themselves and within the site. However, these pages often act more as support pages for existing content pages than doorway pages in their own right. They link to an existing content page within the site that is the most relevant for the target searchterm, and they use link text that supports the target searchterm. In that way, they give weight to the content page’s bid for a top ranking. 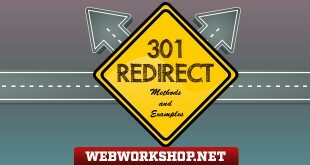 They can be designed to auto-redirect to the site’s relevant content page, so they can be freely optimized without the constraint of having to make them attractive to people. If the relevant content page is also optimized for the searchterm, the combination of doorway pages and optimized content page can be very effective in getting a high ranking for the content page. There are many ways to link these doorway pages together so that they pass their weight to a content page. An example would be to create 5 to 10 optimized pages per search term and use one of them as a hallway page that links to each of the other pages, so that the spiders can find all the doorway pages. Then link all of them to the relevant content page, but not to any other pages. The hallway page would be linked to from the relevant content page. In this way, search engine spiders would find the hallway page from the link on the relevant content page, and from there they would find the other doorway pages. The structure ends up with 5 or 10 relevantly optimized pages, each with a relevant link, which includes the searchterm, pointing to the relevant content page, thus making the content page highly relevant to the searchterm. 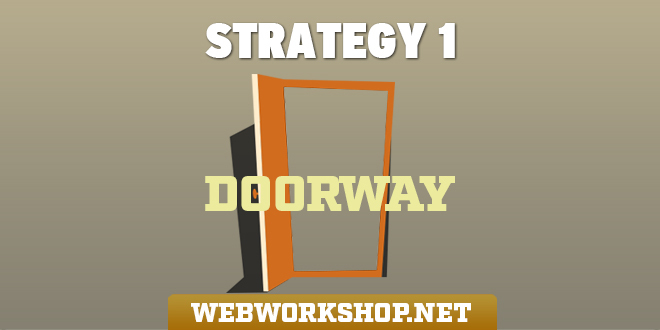 This strategy is suited to automatic doorway page creators because the pages should not be seen by users. It can attract a penalty if spotted but the beauty of it is that it is highly unlikely to be spotted. The reason being that it is the content page that gets the top ranking and not the doorway pages, which merely give weight to the content page for the target searchterm. So people who might report it are blissfully unaware of the doorway pages’ existence. It is possible, and even likely, that some of the doorway pages will achieve top rankings for some obscure searchterms that people sometimes dream up, and so there is still a risk of the pages being spotted. But the searchterms would be too obscure and it is extremely unlikely that anyone would report the pages for ranking highly for such obscure searchterms.